Yet another successful Balloon chase. Today’s weather balloon launch was looking promising as the prediction was for it to land just East of Nangwarry in the Lower South East of South Australia, only about 18 kms from home. After contacting Charles, VK5HD, and finding out that he and partner Linley were expecting a new arrival at any moment I let Charles off the hook and rang Tom, VK5EE. Tom was up for it and so I arranged to meet at his place at 10.15 a.m. (All very civilised). Upon arriving at Tom’s we sat and watched as Hab Hub tracked the balloons path and it became obvious that things were not exactly sticking to the original script. Just after eleven I went home for some lunch and returned to Tom’s at about 11.45 a.m. when we set off as by then the balloon had landed. We drove North from Mt. Gambier to Tarpeena and turned right at McEnroes Road which runs along the North Eastern boundary of the town. We carried on for about 5.5 km and turned right into a pine break. We parked the shopping trolley about 100 metres in from the bitumen after travelling to the first cross break, turning around and heading back toward McEnroe Rd. According to the tracker the Sonde was on the Eastern side of the break. We both scouted around a bit and I walked into the young pines about 20 metres and turned and headed back toward the main road. Every tree had a spider web attached to it with a gnarly little spider sitting in the middle waiting to devour my face. 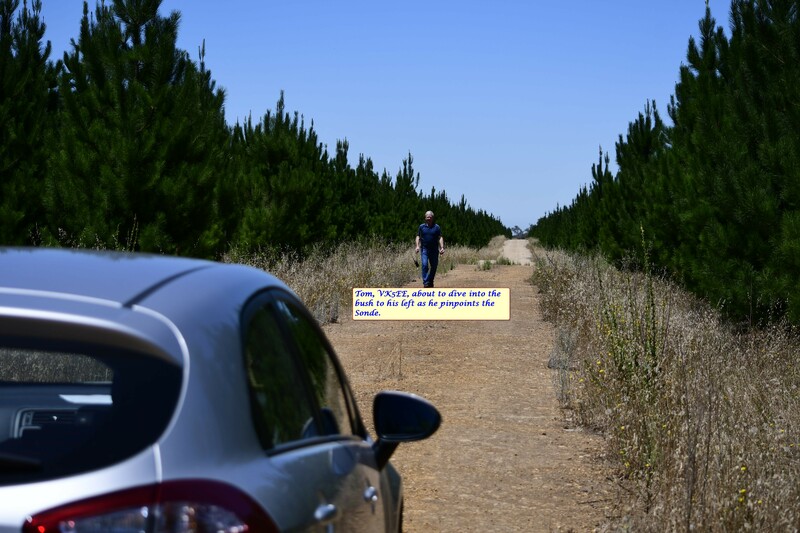 Showing incredible dedication I pushed on until I reached the bitumen where I turned East before heading back into the pines about 20 metres further along. My radio was silent the whole time. 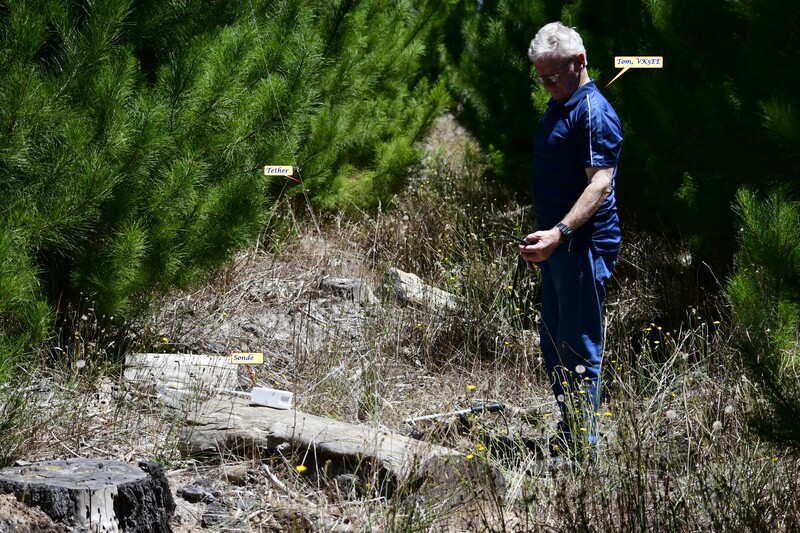 After about 10 minutes Tom called me up to say that he had found the Sonde on the Western side of the break which meant that it had reversed direction before landing and ended up about 100 metres West of the predicted landing spot. Tom, who had a small beam with him did a mighty job of direction finding the thing as the tree cover was very thick and the young pines were 3-4 metres high. After collecting all of the bits we headed for home for a very well earned cold drink as it was very hot in the pines today. 1 Response to Yet another successful Balloon chase. Excellent result in the wilds!